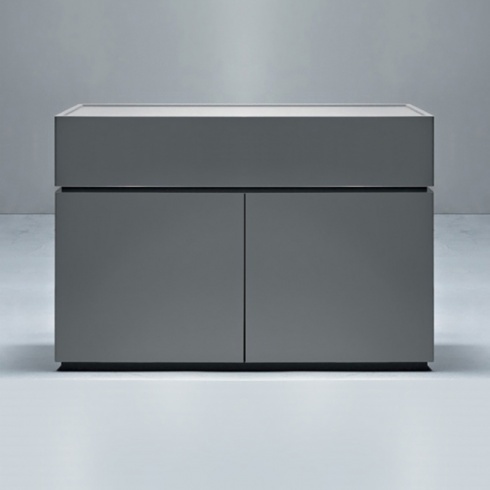 Como Modern Grey Sideboard. L180 x H81cm. The Como collection has a contemporary Italian design, with a subtle Japanese influence. You can mix and match different colours to create a unique statement piece that is individual to you. The Como collection is inspired by a traditional Japanese system of construction. The units are stacked on top of each other to create an overlapping effect that forms a beautiful and unique design. The stacked units come with rubber bases to secure and support the units together. 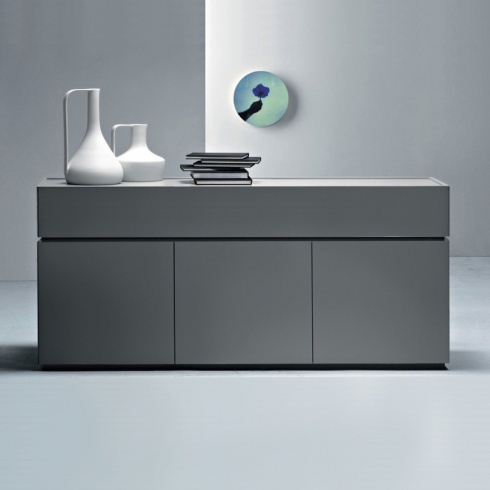 The Como range is designed and made in Italy, in the northern town of Pordenone. High quality materials and furniture production techniques ensure a well designed, high quality piece of furniture. 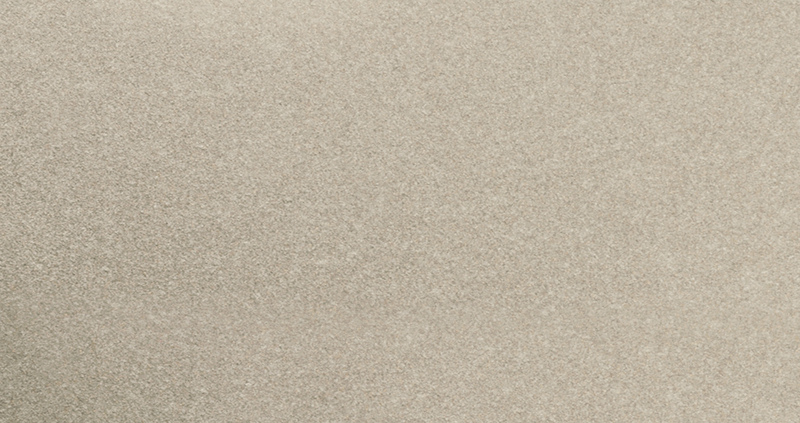 The Como range is available in a wide range of colour choices. While the top and plinths must be in the same finish, you are able to have the drawers in one colour or a mix and match of different colours. Part of the Como furniture collection.